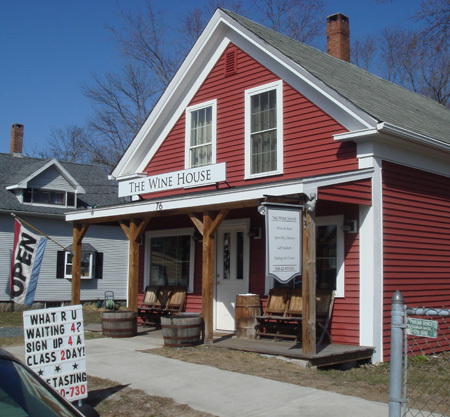 Last week Ethan and I were on our way to my mom’s and stopped at The Wine House in Holliston. It’s kind of small inside but they have a good inventory of all sorts of wine and have an area with various cheese and crackers. They make wine baskets too so it’s a nice place to stop and get a housewarming gift or some sort of treat for an occasion. I know what you mean about food and Holliston. There never have been many choices, if any. I was in town last week and noticed a crepe restaurant opening next to Fiskes. It may be too narrow a focus, but I hope it does well.